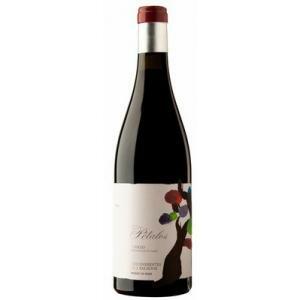 Descendientes de J. Palacios is the maker of this Pétalos del Bierzo Magnum 2016 (£298.16), a red wine from the region of Bierzo based on jerez, godello, alicante bouschet and mencía of 2016 and shows an alcoholic content of 14%. The Pétalos del Bierzo Magnum 2016 is the ideal red to combine with semi-cured cheese and lamb. Uvinum users evaluate this red wine with 4 out of 5 points while renowned wine experts rate it as follows: robert parker: 92. - View: Petals Bierzo 2016 has a dense and dark cherry red. - Nose: High intensity, black fruit liqueur, very powerful smoky and roasted notes. - Mouth: Soft input petting, elegant, sweet and mineral palate, medium-bodied and good persistence. AGEING: Aged for 10 months in French oak barrels. PREPARATION: The malolactic took place in wooden vats and stainless closed for two months. PAIRING: Red meat grilled and roasted. "At the end of the day, if we really have to recommend a wine of this collection, which I would buy for my cellar, will be the petals Bierzo 2016. It is 95% Mencia mixed in the field with 3% of white grapes and the rest Alicante Bouschet and other red wines, fermented after stripping of wood and stainless steel open vats and over ten months in French oak barrels, of which 20% are new. the 80% of the grapes are grown on the blackboard in the vineyards of Corullon, with different altitudes and orientations, and the remaining 20% ​​come from the clay soils of the valley. all this adds to the complexity of the wine. the wine is very aromatic and floral (violet), almost intoxicating, with clear notes of blueberries and licorice. The oak is well integrated, almost imperceptible, except for a touch of spice and a lactic touch denoting a very young wine. 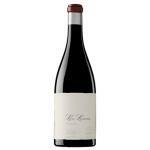 it has a medium bodied with a silky texture thick, is very tasty, with some sab pray acidic strawberries. This is one of my go to restaurant listings wines, offering very good value and is widely available in Spain (and elsewhere, I hope!) As 320. 000 bottles were produced. This could very well be the best Petals produced to date. Drink now through 2019 ". Deep ruby. Smoky cherry and dark berry aromas are complemented by suave floral and dark chocolate nuances. Blackberry and bitter cherry flavors become sweeter with air, picking up a peppery note that adds vibrancy. Closes spicy and long, with sneaky tannins and an echo of bitter chocolate. Violet red colour of a young wine. The aromas of coffee and toffee predominate.It was a little too acid for my taste, although I'm aware that taste is a matter of choice. - View: bright cherry, vilaceo edge. Food pairing: Lamb, beef, blue cheese. I bought some bottles of this Pétalos Magnum 2015 at Uvinum. Intense red Bordeaux. Main smell of caramel. The flavour doesn't go out right away. I tasted this wine with some clients from Bierzo. Opaque red with brownish edges. Nice cherry smell. Fruity, yet airy on the palate. 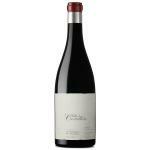 I bought the Pétalos del Bierzo Magnum in the wine cellar. Coffee aromas. I noticed a smoky flavour. - View: dense, dark cherry red. 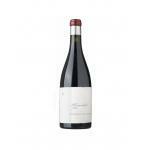 If you want to buy Pétalos del Bierzo Magnum 2016, at Uvinum you will find the best prices for Bierzo red wine. Purchase it at Uvinum at the best price, online, safe and with all the guarantees. We have more than 59.000 products for sale becoming this way the biggest online shop to sell wine, beer, and spirits in Europe with a community of more than 38.000 customers who enjoy Uvinum.